The Fit to Fight® Force Options Group training, for law enforcement and military personnel, ascribes to the notion that, irrespective of the context, fundamental combat skills are a must for physical altercations. While some special sensibilities and tactics are dealt with in the overarching structure of our force training progressions, much of training is rooted in learning to read, appreciate and respond to actual energies that are manifest in any and all situations that entail interpersonal human aggression. 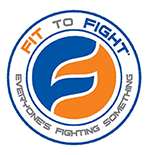 Fit to Fight® Force Options Group also delves heavily into the stressors that accompany said situations, their emotional and physical byproducts and methods for dealing most effectively with them. The training borrows heavily from our Defensive Options®, SPARology™, From The Ground Up™ and Hard Ready™ programs, in order to best prepare personnel for the most violent of encounters, no matter the time, place or context. Fit to Fight® Force Training Group…because nothing is routine.